Occasionally a spark of inspiration can become the catalyst for transition. Just such an occasion took place with the construction of Thompson Speedway in 1940, a five-eighth mile banked oval track, dubbed “The Indianapolis of the East.” A road course joined to the oval in 1952 enlarged the track to form the first privately-owned complex where sports car drivers could race safely. It transformed the face of sports car racing in America, and hastened the demise of the dangerous open-road events together with the majority of flat and boring airfield race venues. 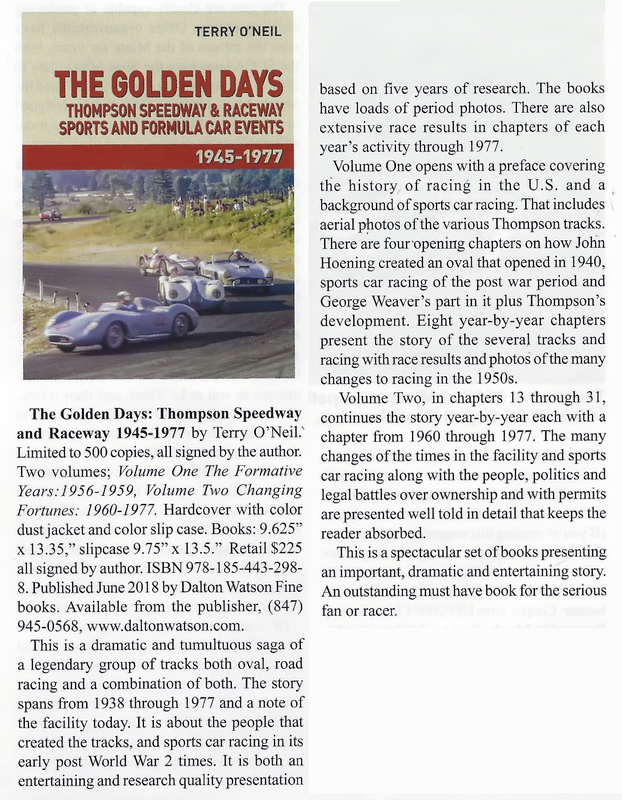 This two-volume set, illustrated with many previously unseen photographs, traces the history of the raceway during its active years and describes the personalities involved in the changing fortunes of the course until its closure in 1977. Having grown 15 miles from Thompson, and having our summer place on a lake 7 miles away, I watched the cars on their way to the track. My Dad and I would stand by the track, and watch the cars from outside the fences until I was older enough for us to actually attend races. I raced at Thompson in the '70s, and my name appears in the book 3 times. It is a collection of wonderful memories for me. This is a wonderful book, especially for those like my husband, Eno dePasquale, who spent many days there at. the time. As I said in a post earlier, it is a shame that people like Eno were not contacted -- guys who continued to race for entire careers (Eno retired 4 years ago at age 77), and who still have vivid memories of Thompson. 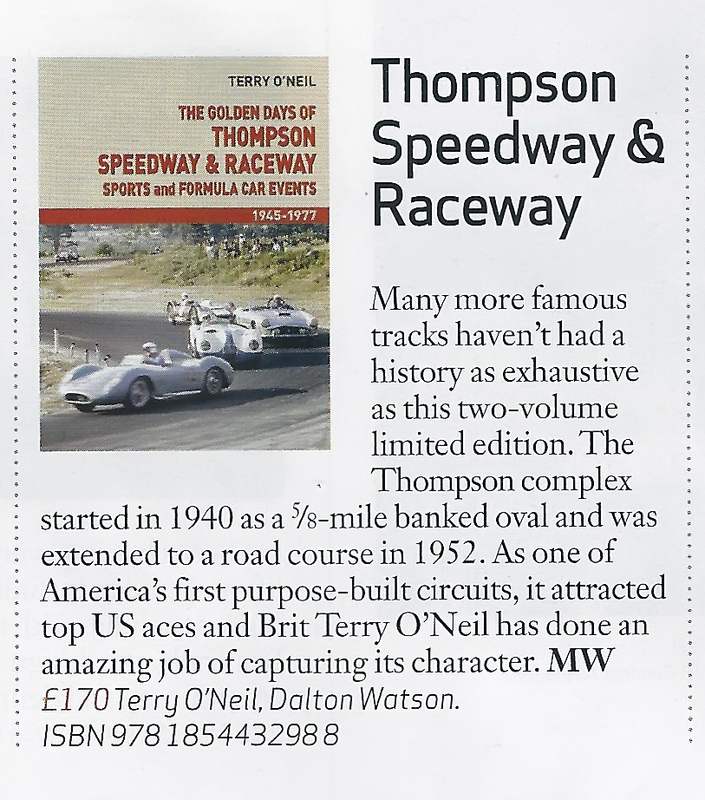 Great reference book about an iconic US track with several iterations of road courses as well as the high banked 5/8 mile paved oval. One of the first tracks I ran on in the first year of the third generation layout in 1968 through into the mid 1970's. Going back for the fourth generation version on Oct 4-5-6.